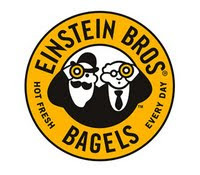 Today (October 30, 2009) is Free Bagel Friday at Einstein Bros Bagels. Just take this coupon into any Einstein Bros Bagels to get a free bagel. Limit one coupon per Friday per person.